Continuing our run-through of the new game modes in Battlefield: Hardline, today let’s take a look at Heist. If Hotwire is Conquest with wheels, and Blood Money is a Headhunter-like; then Heist is Neutral Flag. Unlike the other two game modes, Heist has defined roles – the criminal team is on offense, while the cops are on defense. Because of those defined roles, it does change up some of the tactics that you might want to use. One thing to keep in mind right away is that the criminals are limited in their respawns. They have a limited ticket count that drops with kills, so while you need to be aggressive to get the loot out, you can’t be careless. Of course, there’s also a time limit, so just sitting back isn’t a great plan either. From the cops perspective though, the plan is pretty simple – defend as hard as possible. Initially, you’ll be focused on the vault/armored truck; but once they’re breached you need to keep an eye on where the extraction points are. Each one can only remove one bag – so when you see both heading to the same spot, it’s actually a benefit for the defense. You can switch focus to the other extraction point and keep them from getting out. As a crook, you really have to make sure that the points are clear – walking into an ambush with the loot is a really bad time. The cops can return the loot pretty easily – they don’t really need to be right on top of the bag. Putting the loot right where there’s a group of them makes it easier for them. Just like I’ve been saying with the other two game modes, probably the most important thing you can do is play as a team. Spot enemies – especially near the vault, and near the extraction points – on both teams. Play your class’s role – drop health and ammo, set up spawn beacons, deal with vehicles and spot and set up traps – and your score will shoot up. There are only a couple maps without vehicles again, so be prepared to have some kind of a plan to deal with them. Operators are pretty much out of luck against a lot of the cars, so if you play that class, don’t be afraid to spot and run. When you do make your runs at the loot as a criminal, always keep your eyes peeled for explosives. Professionals and Enforcers both can put placed explosives down as traps – I recommended doing it in Blood Money to protect your team’s vault after all. It’s just as effective in Heist, albeit one-sided. Again – you can spot explosives, just like enemies – so spot them, and either shoot them, or disable them. You can use the interact button to disarm explosives you see – even the laser tripmines. One other important thing to keep in mind is that most maps with a set vault feature multiple points of entry – so don’t focus on one way in. Flank around behind and hit them there, or from above if that’s an option. 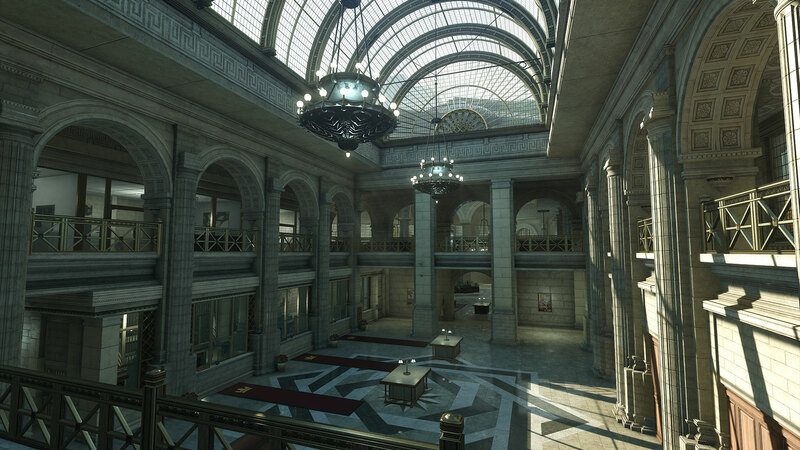 Verticality is a big part in a few of the maps – with a couple having extraction points that are on roofs – Downtown and Bank Job both come right to mind. Heist is an all around fun game mode – it’s got a lot of team work involved – and really does a good job of fitting in the world the game has built. The games can take a bit longer than Hotwire matches, or even Blood Money – or could be done and over with in a few minutes. I admit that Blood Money is still my preferred game mode, but Heist is a really great new addition to Battlefield. This week is the open beta for Battlefield: Hardline. After downloading it over night Monday, I put in a couple hours last night – making sure to try each of the three game modes available in the Beta. I thought I’d offer up my thoughts on EA’s upcoming shooter. First off, it’s very similar to Battlefield 4 – which really isn’t a huge surprise since we aren’t that far removed from Battlefield 4. There are a few little changes, mainly since we aren’t in a military combat setting. So for an example, the Assault class has been changed to Operator, but the role is still the same – they fill the Medic role, and mid-range combat role. Some of the gear has been altered a bit too, so there’s ziplines and grappling hooks in there, but the Assault class doesn’t have the variety of grenade launchers that is in Battlefield 4. Ultimately, that’s not that big of a deal – the grenade launcher still is in the game for taking down light vehicles, it’s just on the Mechanic (Engineer) class. So if you’re a Battlefield veteran, you’ll have to make a couple changes to your play, but really the same tactics all still apply. Your team is still divided into five man squads, and it’s within those squads that you really need teamwork. So going in with a couple friends will make your journey – especially with Heist – a lot more fun. As far as the game modes go, there are two new game modes in the Battlefield: Hardline beta – Heist and Hotwire. The third game mode is classic Battlefield Conquest. First, let’s talk Hotwire, mainly because I spent the least time with it. And I did that because it’s the one that I think needs a squad to really do well in. Essentially, Hotwire is Conquest, but the control points are cars or other similar vehicles instead of buildings. That makes Mechanics nice to have, since they have anti-vehicle weapons. The other classes are still useful, mainly against the other people stuck outside of the points. Hotwire is played on two maps – Downtown and Dust Bowl – both are larger maps, which makes since with the vehicles. Those same maps are also used for Conquest, it’s just standard Battlefield fun after the switch. Which brings me to Heist – the mode I put in the most time with. At it’s core, Heist is basically a one flag variant, but instead of one flag, the attackers have to capture two. The flags of course are bags of money stolen out of a bank vault, by bringing them to one of three drop off points. Once you get the bags to the point, you have to hold it for a few seconds while a helicopter shows up, then hook up the bag to score. If the robbers get both bags out, they win – cops win by depleting all of the robbers tickets (lives). It’s a hectic round – with the robbers trying to get into the vault while still having plenty of tickets left to get out. There are three access points to the vault, and really you want to try to get all three open to help keep the cops from camping in there. It’s a really fun mode honestly, that doesn’t really feel unbalanced too much. Granted it’s only played on one map in the Beta (Bank Job) but there’s just enough going on in the map to keep it tight the whole way. Overall, I think EA might have a good one on their hands. It takes the scale of Battlefield which was always their strength, and puts in some new twists that actually fit really well. Heist is a fun mode, and Hotwire tweaks the Conquest formula just enough to make it feel really fresh. The weapons all behave well, and each default class/weapon has a couple attachments already unlocked. 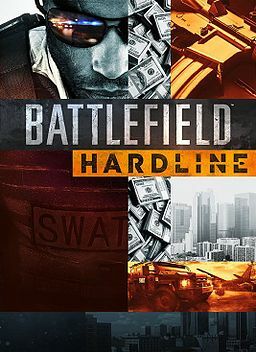 I think after a really strong shooter year last year, that EA knows that they need to make sure that Battlefield: Hardline has a smooth launch to keep the franchise relevant, especially with new Destiny content this year, along with Battlefront, The Division and Rainbow Six all this year.